“When you go to McDonald’s, you’re not supposed to go behind the stand and make your own,’’ explains one of her students, Bren’et Muldrow, a 17-year-old senior. In other words, writing code is like telling an invisible cook how to do something complex through basic instructions. Ms. Cuttler’s tactics work. Her computer-science students had a 100% passing rate on the Advanced Placement exam last spring, compared with 64% nationwide. Ten of the 39 African-American teenagers who passed it last year in New Jersey were in her class. Their achievement stands out at a time when few poor and minority students nationwide tackle this challenging AP subject, often because they lack access, find it intimidating or aren’t prepared. Some don’t have computers at home. AP courses cover college-level work and can give students a leg up in college admissions. 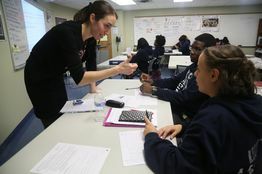 Capable teachers for this high-tech subject are in great demand as districts nationwide try to ramp up their offerings. Last monthPresident Barack Obama announced a “Computer Science for All” initiative in hopes of exposing students to what is increasingly seen as a crucial and lucrative skill for the modern job market. New York City Mayor Bill de Blasio called for a similar push last fall, promising more professional development to address the dearth of teachers who see themselves as equipped to teach it. Ms. Cuttler, a 31-year-old teacher at North Star Academy College Preparatory High School, started its computer-science program three years ago to introduce city teenagers to its creative logic well before college, so they have time to complete a major as undergraduates if they find they love it. In her view, there is a misconception that teachers need extensive experience in computer science to teach it. Ms. Cuttler began her career as a math teacher seven years ago and has a masters in applied math from University of California San Diego. While there she took one undergraduate class in computer science. She prepared to teach the subject through a weeklong AP Summer Institute in 2013 and worked through several Java software books on her own. Her success earned her a $25,000 national teaching prize in December from the Milken Family Foundation. She plans to spend it on furthering her computer-science education and a college fund for her 10-month-old son. Expectations are high. Her classroom wall has a faux parking sign warning “No Slacking Any Time.” Below it hangs a chart that tracks each student’s absences to underscore the connection between their grades and showing up. All of her AP students have mandatory tutorials in small groups outside of class. Some see her for one-on-one help too. Many of her students intend to be the first in their families to get a four-year college degree. 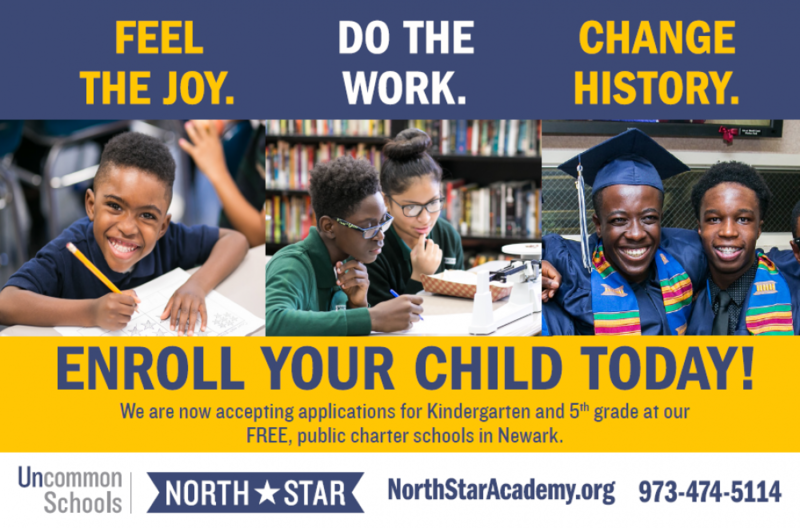 The high school is one of 11 charters run by North Star, which serves about 4,000 students in Newark. The network says 95% are African-American or Hispanic and 86% qualify for free or reduced-price lunch. The Newark network wants to grow but faces opposition from MayorRas Baraka, a former district school principal. In December he asked the state education chief to halt further charter expansion until the district schools have enough money to deliver quality education. Charter opponents say these taxpayer-funded, independently operated sites drain too many resources from traditional public schools, while failing to serve their fair share of the most challenging students. District officials say about 17% of its nearly 36,000 students have special needs. North Star says 8.4% of its students are classified that way, though more get intervention services. Families apply through the city’s universal enrollment system. North Star is part of Uncommon Schools, a charter management organization where John B. King, Jr. served as managing director before becoming state education commissioner in New York. Now he is acting U. S. Secretary of Education. Ms. Cuttler aims to give students the kind of “aha moments” that motivated her as a student. The best came when she was tackling tough questions with respected professors and finally unlocked the right answer. This entry was posted in Academic Rigor and tagged Allison Cutler, computer code, Milken Family Foundation, Wall Street Journal by uncommonnewark. Bookmark the permalink.